The American Bald Eagle is the National bird of the United States. 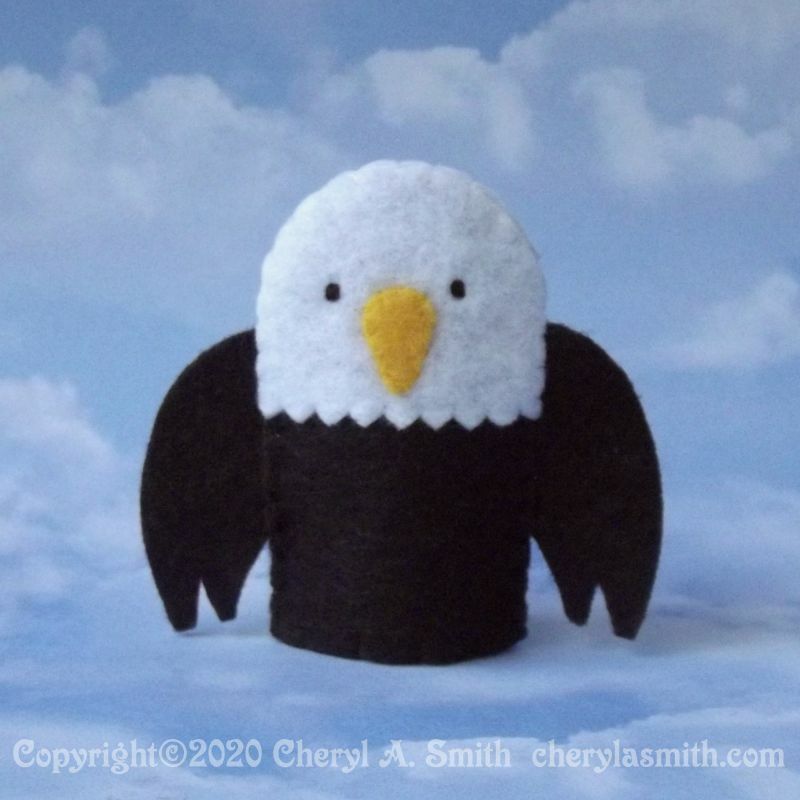 This eagle puppet is dark brown with a white head and golden yellow beak. Each of my finger puppets is hand embroidered and stitched in polyester felt from an original pattern. Each puppet body measures approximately 1-1/2 inches by 2-1/2 inches and will fit most fingers. No glue is used in the creation of any puppet. Everything is firmly stitched in place. Each Eagle is individually made by hand - so facial expressions and stitching may vary slightly from photo.